By Lisa Matthews, Coordinator at Right to Remain. The first person quoted here is a social worker who attended our event on immigration detention in Swansea in July. The second person is Justice, an expert-by-experience who uses his and others’ experiences to campaign against detention, as part of the Freed Voices group. These statements are not unique. Very often, when we run events to raise awareness about immigration detention and to call for change, we see the shock in people’s faces. We see the audience go through a spectrum of emotion in response to what they have found out – disbelief, confusion, anger, outrage. These are people who already have a keen interest in human rights and social justice, otherwise they would not have found themselves at our events. And yet still detention is unknown to them. And it’s sadly not unusual to hear someone who was at risk of detention, and who was then detained – for six months – say they knew nothing about it either. Detention – Britain’s shameful secret? For such a grave human rights issue, detention has been a remarkably hidden topic – over the last 20 years since the first detention centre opened, the detention estate has greatly expanded and until relatively recently, with almost no public debate or political scrutiny. Because of this lack of awareness, detention became accepted as a “normal”, integral part of the system of immigration administration and enforcement. 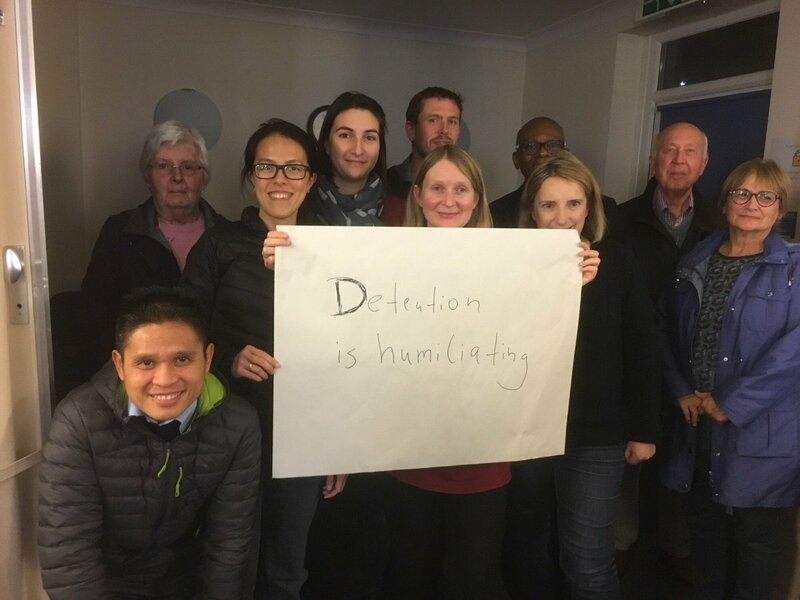 This meant that for a long time, when detention was challenged at all, it was very often about how it was operated and the rules and conditions in a detention centre. The actual core issue of whether it’s ok to lock people up as part of an immigration system, has barely been discussed or challenged. Thankfully, that’s now beginning to change. 2015 saw the first-ever parliamentary inquiry into detention, which demanded fundamental reform of the system. Demonstrations at the sites of detention have been growing and growing. 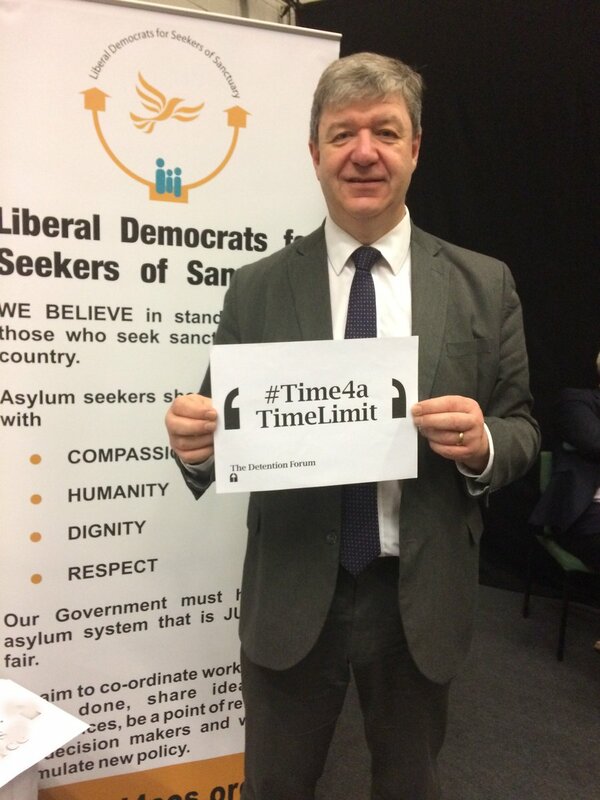 The campaign for a time-limit on detention (the UK is the only country in Europe with indefinite detention) has been picked up by MPs, peers, human rights groups, public institutions and the public at large. Serious discussion of an immigration system that does not involve detention is taking place. Detention is finally coming out from the shadows. This is an issue that affects tens of thousands of people directly: around 32,000 people are detained each year, tens of thousands more live with the constant threat of detention, and/or with the long-term damage that previous detention has caused. Families and communities across the UK are divided and damaged by it. Unlocking Detention is a ‘virtual tour’ of the UK’s immigration detention estate – and of the impact of detention on communities across the UK. Each week, we ‘visit’ another of the UK’s detention centres and we hear from people who have been detained there (and who still are), volunteer visitors to that centre, NGOs and campaigners who are involved with challenging immigration detention, and the families, friends, neighbours and communities affected by this policy. Check out the calendar of the virtual tour on the front page of the Unlocked website. 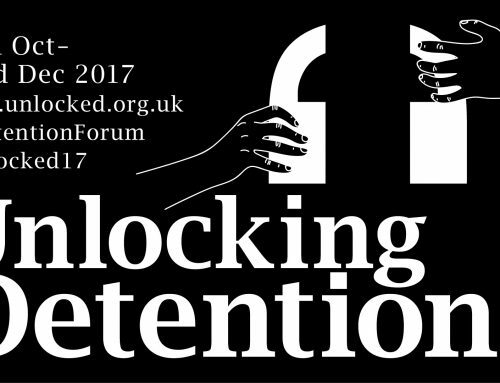 This is the third year of Unlocking Detention – a Detention Forum project run by Detention Action and Right to Remain, with contributions from many of the Forum’s members. Unlocking Detention 2016 starts on 10 October! The tour runs until 18 December, which is International Migrants’ Day. You don’t have to be an expert on detention, or directly impacted by detention, to be involved. If you are interested in, concerned by or have questions about immigration detention, join the conversation! Read the Unlocking Detention blog posts. Every week of the tour, there will be new pieces to read from diverse authors, on many different topics. You’ll find them all on this blog. Like Unlocking Detention on Facebook. 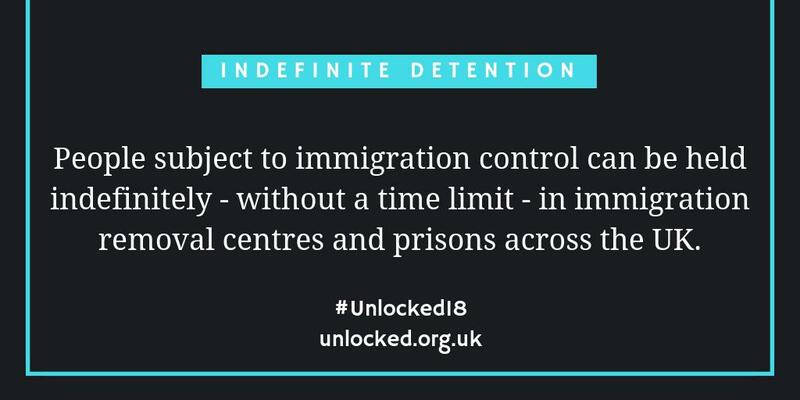 This year, we’ll be sharing blog posts, articles, videos and images on Facebook so make sure you like the Unlocking Detention page to see what’s happening! We’re even on Instagram this year! Follow Unlocking Detention @unlockingdetention on Instagram to see the visual story of Unlocking Detention. Get the word out. Look out for Unlocking Detention articles in other online media platforms (we’ll share them via Twitter, Facebook and the blog!) and you can also be a hugely important part of the tour just by talking to people about detention. 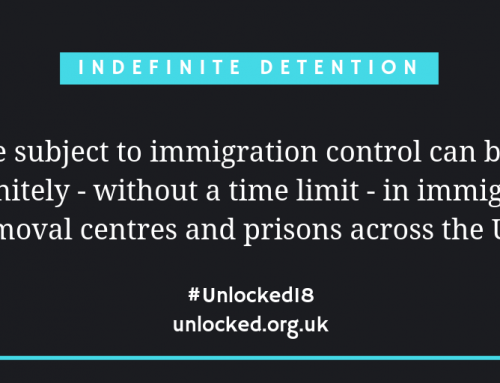 You might find the Unlocking Detention blog posts, interviews and other material by people affected by detention that we share a good way to start this conversation. Ben from Detention Action will ask your questions over the phone (people in detention do not have access to Twitter) and then will share the response via Twitter. You can see an example of one of Q and A’s from last year’s tour here. (2) Each year we have a visual element to the tour that we ask the public to get involved in, to get creative, to get us thinking about detention and those in detention, and to offer a new way of talking about detention. There’s so many ways to get involved. Get Unlocking!